If you find a lower price for the same product, we'll match* it. 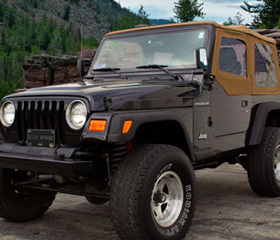 Auto Tops Direct Your one-stop shop for convertible car top replacements. Welcome to Auto Tops Direct. We are a leading distributor of premium auto tops for brands that include Porsche, BMW, Mazda, Ford, Chrysler Mercedes and more. Our replacement convertible tops offer original quality materials and construction with factory direct prices and fast shipping to make replacing your convertible top hassle free and affordable. Browse our online catalog to find Honda convertible car tops, Porsche convertible tops, and Mazda Miata convertible tops. Other brands in our inventory include Audi, Chrysler, Jaguar, Ford, and other best-selling convertible models. Under each brand, you will find convertible car tops, headliners and convertible top parts listed by model and year of the vehicle. 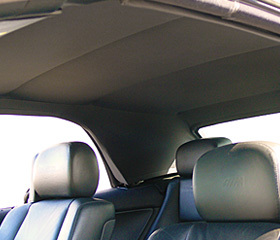 We recommend professional convertible top installation for our replacement convertible tops and headliners. Our Locate an Installer feature can be used to find a professional in your area to schedule professional installation. However, if you have some skill and patience in car repair, the install is a job that can be done at home. 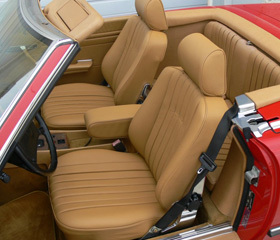 We offer convertible top installation instructions for a few select makes and models. 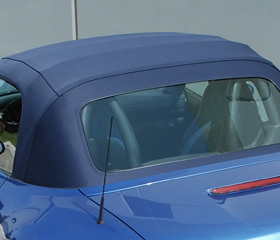 Most of our convertible tops in our catalog are available in stock and ready for immediate shipment. Our in stock products are shipped within 24 hours.